Mark Kersten is a researcher, teacher and consultant currently based at the Munk School of Global Affairs, University of Toronto, Canada. Mark holds a PhD in International Relations from the London School of Economics (2014). 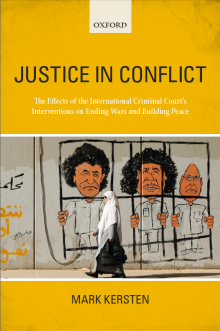 In 2011, Mark founded the blog Justice in Conflict, which regularly publishes articles on the challenges of pursuing accountability and justice in the context of ongoing violent political conflicts. Mark’s research features regularly in publications such as Foreign Policy, The Washington Post, and the Globe and Mail. He has taught courses on genocide studies, the politics of international law, diplomacy, and conflict and peace studies at the London School of Economics and SOAS. In addition, Mark is the Director of Research at the Wayamo Foundation.